The processes in East and South Asian became a peculiar subject for global community of international relations in the field. 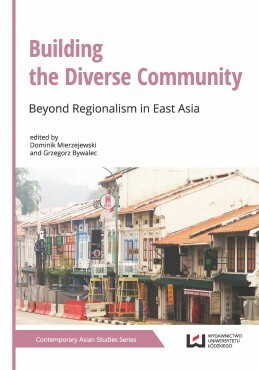 The presented volume is a collection of papers dealing with the processes of regionalization in East and South Asia. We collected papers from different academic unit both from Europe and Asia. Taking regionalization as a core subject of the volume the readers will discover the complexity of ongoing processes in East and South Asia. We present collection of papers from a very different perspectives starting from the theoretical debates, through economic dimensions of integration to policical and military scope of regionalization in East and South Asia. The whole volume presents the diversity of understanding among international relations scholars community. By shaping the diverse view we can possess the better and in depth understanding of East Asia.